A while ago, Meryton Press (who publish mainly Austen-inspired fiction) ran a short story competition. 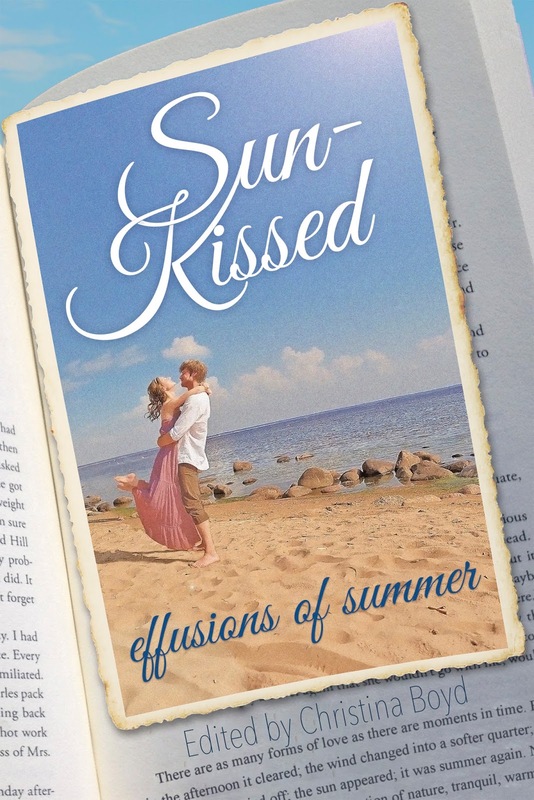 The story had to be romantic, and have a flavour of summer. The four stories judged best would be included in this anthology, along with four stories by some of Meryton Press’ established authors, J Marie Croft, KaraLynne Mackrory, Linda Beutler and Karen M Cox. This review is a little long, as I have done mini reviews of each story. As you might well be aware, a while ago Meryton Press ran a short story contest, with the four stories judged best being included in a summertime collection of stories. 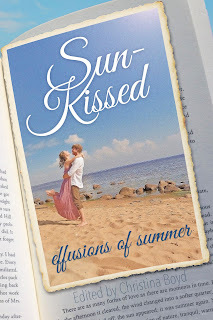 The resulting book is 'Sun-kissed: Effusions of Summer', which is available to buy now, and is off on a blog tour very soon. Meryton Press have announced that they are having another contest for inclusion in an anthology, this time with a theme of celebrations at the tail end of the year. Read on for more info! 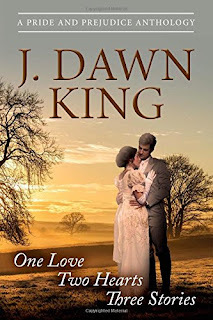 We had such fun on J Dawn King's guest post, I just checked my blog statistics and it's the most viewed post I've ever had! Although it's too late to enter the competition you are more than welcome to come over and have your share of the conversation, click here for the guest post. Joy has chosen the winners for me. If you know Joy, you will know that she is a very generous lady, so we have ended up with some extra winners! I'll now pass over to Joy so she can give you details. I am very pleased to be welcoming the lovely J Dawn King to my blog today. She's come here to talk about her inspiration and if you read on you will see details of more than one international giveaway. So without further ado I'll pass over to Joy. I deeply appreciate your invitation to be a guest on your blog, Ceri. I am happy to be here. 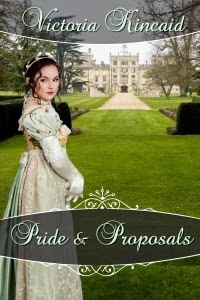 And, I’m happy with the release of my latest book, ONE LOVE – TWO HEARTS – THREE STORIES: A Pride and Prejudice Anthology. For your viewing pleasure, here is my inspiration for Mr. Fitzwilliam Darcy in all three stories. (I did change his eyes to dark brown in one just to change things up a bit.) Are you surprised it’s not Colin Firth or Matthew MacFadyen? For this book, it was David Gandy, U.K.’s #1 male Super Model all the way. Why? Besides the stunning good looks, he loves cars, books, and puppies. How could he not be the Darcy we all know and love?